Since Lynne Connor, owner and workshop facilitator of Lost Lit will be on maternity leave during the Winter Session, we are thrilled to bring you a special workshop series. I’ve asked my favorite writer friends: Leland Cheuk, Stephen Langlois, Aaron Zimmerman and JP Howard to guest lead workshops in an effort to expose and connect you to the rest of the literary community that’s already doing amazing work in their respective organizations. Starting in February 2018 and alternating Tuesday nights, you’ll have the opportunity to write with them! Show them love by signing up for one, two or all four workshops! Description: In these dark times, more than ever, readers need a laugh. At its core, comedy is an art of defying expectations, and all writers, whether you’re interested in writing comedy or not, benefit from defying expectations. In this writing workshop, participants will deconstruct funny scenes and passages in recent fiction and use as prompts to free write their own funny scene. Join Leland Cheuk as he helps bring the funny to your work and defy the expectations of your readers. Description: The wealth gap is widening, taxes are on the rise and the rent is due. On top of it all, you’ve decided to go ahead and pursue that writing career, a field not necessarily known for profitability. No doubt you work a day job to help pay the bills. Most likely you struggle to answer the call of your inner muse after clocking out for the day. Now more than ever it seems important for us writers to discuss the everyday nuts and bolts of our dreams–and to write about it! Join fiction writer Stephen Langlois as he dives into the world of working class literature where characters wrangle with the nine-to-five in much the same way their authors did. You’ll dig into your own experience, too, using prompts designed by Stephen to get you writing about money, class, hard labor, and more. By the end of the workshop you’ll have learned how to flesh out your fictional worlds and imbue them with the realities of the daily grind. Description: We are thrilled to have Aaron Zimmerman, founder of the NY Writers Coalition lead a writing workshop following the Amherst Writers & Artists method, the same model used in Lost Lit’s Get Lit workshops. In the workshop, you’ll spontaneously write together for a timed amount of time, come back together as a group and then share your writing aloud. All feedback given is supportive, positive and treated like fiction, since the writing is fragile and raw. This whole process not only creates a safe, judgement free environment, but frees your voice and boosts your writing self esteem in a magical, unexpected way. So come write with us, say what needs to be said, feel good and have fun! Description: When we think Writing Community, we think Women Writers in Bloom Poetry Salon and the powerhouse JP Howard behind it. We are beyond excited that she will be leading a writing workshop in the WWIB style. Expect to write together in a supportive, warm environment, share your writing in an open mic style and be inspired by JP’s own writing. *DISCLAIMER: No refunds or make up date. LELAND CHEUCK is the author of the story collection LETTERS FROM DINOSAURS (2016) and the novel THE MISADVENTURES OF SULLIVER PONG (2015), which was an Amazon National Bestseller in Asian American Literature. Cheuk’s work has been covered in VICE, The Millions, The Rumpus, and Asian American Writers Workshop, and has appeared in or is forthcoming in publications such as Salon, Catapult, Joyland Magazine, Electric Literature, The Rumpus, Kenyon Review, Prairie Schooner, [PANK] Magazine, among other outlets. He has been awarded fellowships and artist residencies at The MacDowell Colony, Hawthornden Castle, Djerassi Resident Artists Program, Caldera, I-Park Foundation, and Brush Creek Foundation for the Arts. He teaches at the Sarah Lawrence College Writing Institute. He is the fiction editor at Newfound Journal and the founder of the indie press 7.13 Books. He lives in Brooklyn. You can follow him on Twitter @lcheuk and at lelandcheuk.com. STEPHEN LANGLOIS is a recipient of a NYC Emerging Writers Fellowship from The Center for Fiction as well as a writing residency from the Blue Mountain Center. He also hosts BREW: An Evening of Literary Works, a reading series held in Brooklyn, and serves as fiction editor for the literary journal FLAPPERHOUSE. His work has appeared in Glimmer Train, Joyland, Lit Hub, Maudlin House, 3AM Magazine, Vol.1 Brooklyn, Barrelhouse, and Split Lip Magazine, among others. Visit him at http://www.stephenmlanglois.com. AARON ZIMMERMAN is the founder and Executive Director of NY Writers Coalition, one of the nation’s largest community-based writing programs.Aaron has an MA in Creative Writing from City College and he also has taught creative writing at City College. His novel, By The Time You Finish This Book You Might Be Dead (Spuyten Duyvil, October 2003), was selected by Poets and Writers as a “New and Noteworthy” book. His fiction and poetry have appeared in numerous literary magazines, including The Brooklyn Rail, Georgetown Review, South Dakota Review, Jeopardy and Mid-America Poetry Review. he has read his work at numerous venues around NYC and elsewhere, including KGB Bar, Barnes & Noble, and Greenlight Bookstore. JP HOWARD’S debut poetry collection, SAY/MIRROR (The Operating System), was a 2016 Lambda Literary finalist. She is also the author of bury your love poems here (Belladonna*). JP is a 2018 featured author in Lambda Literary’s LGBTQ Writers in Schools program. She was a 2017 Split this Rock Freedom Plow Award for Poetry & Activism finalist and is featured in the 2017 Lesbian Poet Trading Card Series from Headmistress Press. JP was the recipient of a 2016 Lambda Literary Judith A. Markowitz Emerging Writer Award and has received fellowships and grants from Cave Canem, VONA, Lambda, Astraea and Brooklyn Arts Council. JP curates Women Writers in Bloom Poetry Salon, a NY-based forum offering women writers a monthly venue to collaborate and is an Editor-at-Large at Mom Egg Review online. JP’s poetry and essays have appeared or are forthcoming in Academy of American Poets, Anomaly, Apogee Journal, The Feminist Wire, Split this Rock, Muzzle Magazine, and The Best American Poetry Blog. She has facilitated writing workshops for numerous venues, including The City College of New York, Brooklyn Poets, and Brooklyn Community Pride Center. JP holds a BA from Barnard College, an MFA in Creative Writing from The City College of New York and a JD from Brooklyn Law School. Categories: Events, News, Writing Workshops | Permalink. We all process the grief and loss of our mothers in different ways. Whether the loss is recent, whether it happened years ago, grief can be ever present, pulsing just behind our retinas or be triggered at the most unexpected and unwelcome times. In this workshop, we will use the tool of writing, the art of storytelling and the excavation of memories to work through our grief. To give voice to our feelings, to process our feelings and to make sense of it all. Lynne Connor, a writer, owner of Lost Lit and motherless daughter, will lead the workshop by offering writing prompts specifically targeted for Motherless Daughters. We will write together for a timed amount of time. Then come back together as a group to share our newly produced writing. All the feedback will incorporate the Amherst Writers & Artists method, which treats all writing shared as fiction and only allows positive, supportive responses. Lynne will ask the group: what stays with them? What did they love? What do they remember. The combination of writing, reading their work aloud and receiving positive feedback is guaranteed to be a healing, magical experience. We hope you’ll join us. Lost Lit is thrilled to have Kathy Moore, a beloved Lost Lit veteran, lead a special 4-week, Teen Writing Workshop. For the first time ever, we’re offering Lost Lit’s Get Lit style workshop just for you! This creative writing workshop is the farthest thing from school you can imagine. No homework! No 5-paragraph essay structure or thesis statement or grammar police. Think Summer camp without leaving your own backyard. Without the cheesy team building, ice breaker games. Without the cliques and longing to fit in. In this workshop-you will write! There will be scrumptious snacks. And hopefully, you will have fun! Here’s what will happen in every workshop. You’ll be given writing prompts meant to stimulate one or more of the five senses. We write together for a timed amount of time (anywhere between 5-15min). We come back as a group and voluntarily share our writing. By applying the Amherst Writers & Artists method, all feedback with will be treated like fiction, supportive and positive. There is no room for criticism. This method will allow your authentic writer’s voice to emerge, will dare you to go deep into memory, scene and your unconscious. You will walk away with a ton of new, raw writing and a newfound confidence that you are, without a shadow of a doubt, a writer. KATHY MOORE is a born teacher, a writer and literature lover. She has a BA in French Literature from Cornell University and an MA in TESOL from Hunter College. As part of her graduate work at Hunter, she specialized in teaching writing to K-12th grade students. She has taught English as a Second Language in the New York City public school system for the past ten years. Last year, she had the opportunity to travel to Cuba with a group of high school students and mentored them in writing blog posts about their experience. In addition to working with the K-12 population, she also teaches in The School of Continuing Education at Hunter College. In 2014, Kathy found Lost Lit, which not only ignited her passion for writing, but had her fall head over heels in love with the Amherst Writers & Artists method. She is now certified as an Amherst Writers & Artists Workshop Leader and is excited to introduce NYC’s teen audience to this magical and transformative way of writing. presents: A special one day event on Mother Loss. Lynne Connor, a writer, owner of Lost Lit and motherless daughter, will lead the workshop by offering writing prompts specifically targeted to Motherloss. We will write together for a timed amount of time. Then come back together as a group to share our newly produced writing. All the feedback will incorporate the Amherst Writers & Artists method, which treats all writing shared as fiction and only allows positive, supportive responses. Lynne will ask the group: what stays with them? What did they love? What do they remember. The combination of writing, reading their work aloud and receiving positive feedback is guaranteed to be a healing, magical experience. We hope you’ll join us. What a way to celebrate Lost Lit’s 6-month anniversary of being open! Andrea, a contributing writer for Downtown Brooklyn, took a virtual interview we had through email and produced THIS! I have such admiration for journalist’s ability to spin magic! To be concise, yet still tap into the emotional core of the piece. Don’t take my word for it. Read it for yourself. I’d take a Lost Lit Workshop if uh, I wasn’t running them. Categories: News, Writing Workshops | Permalink. Happy New Year everyone! 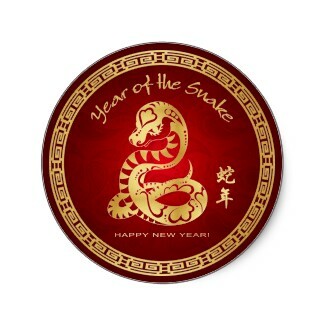 I was informed by Grumpy Bert that in the Chinese zodiac calendar, 2013 is the year of the snake. That’s me! I’m a snake! In real life, snakes scare me. (I’m serious—reptile phobia is no laughing matter) But how “meta” that my metaphorical zodiac animal is the one thing that shivers me timbers. So since this year is the year of me, I’d like to propose that this is the year of you. Will you put yourself and in turn, your writing first? Lost Lit writing workshops happen every Wednesday night from 7-9pm starting January 16, 2013. If you sign up for the 8-week combo at $200, you’ll ensure your spot and get a chance to go deeper into your writing. However, if your schedule doesn’t allow for that kind of commitment, workshops can be taken individually for $25. Also, mark your calendars for Saturday, January 26th, 2013 for a LOST Open Mic Reading. More details can be found HERE. This is our son Remy, a 19th month old pug, who’s also been called, crazy, trouble and “is he ALWAYS like that?” If you’ve come to the Grumpy Bert shop when he’s in, enough said. We’re hoping that he’ll calm down or somehow manage to train him to be a good boy (which ever comes first) so he’ll become the true shop dog that we dreamed of. Remy is the gift that keeps giving in our life. With the holiday season in full swing, if you’re still searching for the perfect gift for yourself or a writer in your life, a GIFT CARD to a Lost Lit workshop might just be the answer. Gift cards are available to cover 1 workshop session or an 8-week combo session. I hope you’ll consider it. Remy and I would love to have you.